Owner to meet with potential tenant and agree to terms on upgrades and modifications. Owner will be paving front parking lot and installing two new A.D.A. bathrooms. New flooring package, exterior to be painted, possible kitchen build out if lease terms are agreeable. Prior operation was Tavern, but could be used for many other applications. Located 2nd building in from high traffic corner of HWY 159 and HWY 143 intersection across the street from MOTO MART two minutes from downtown Edwardsville. 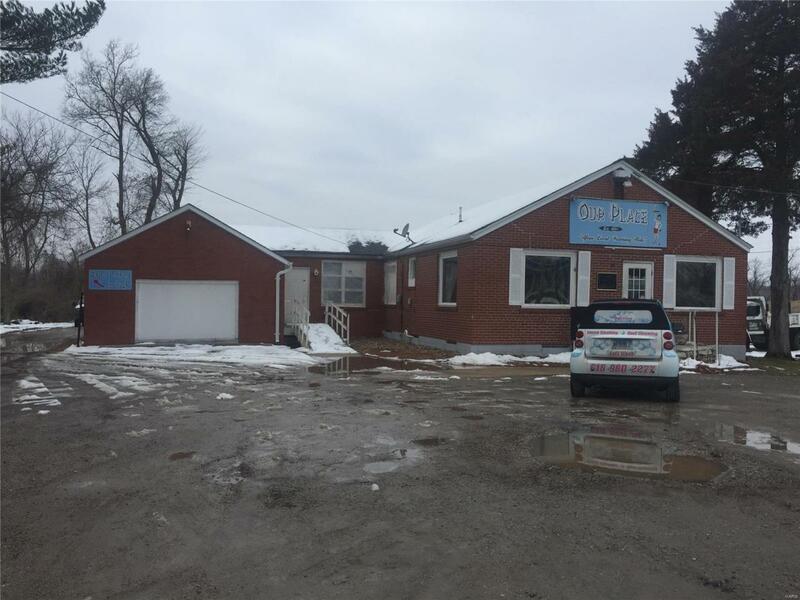 Offers a little more than half acre and possible additional detached metal building. Owner will consider new windows if lease terms are agreeable. Tenant to provide all trade fixtures and licenses needed to open their business. Lease terms are dependent upon length of lease and remodel costs generated by tenants upon owner. Lot size is 22238 square feet. Listing provided courtesy of Metro Mls Realty Llc. Listing information © 2019 Mid America Regional Information Systems, Inc.